A clear sky. Low 38F. Winds E at 5 to 10 mph..
A clear sky. Low 38F. Winds E at 5 to 10 mph. Jacquelyn “Jackie” Fure passed away at UW Hospital in Madison Saturday, Feb. 9, 2019. Jackie was born March 8, 1934, in Tacoma, Washington, to John and Pearl Malloy. She was born the fifth of five girls in the Malloy family. Shortly after her birth, the family moved to Los Angeles before eventually settling in Walla Walla, Washington. She graduated from DeSales High School in Walla Walla and attended Washington State University in Pullman, Washington. On May 14, 1954, she married Clyde Killingsworth of nearby Pomeroy, Washington, who was also attending Washington State. They subsequently had three children: Joan, Mark and Tom. While Clyde worked for Green Giant, they lived in Washington, Idaho and Minnesota before moving to Beaver Dam in 1969. Clyde passed away in 1974 and Jackie decided to remain in Wisconsin. 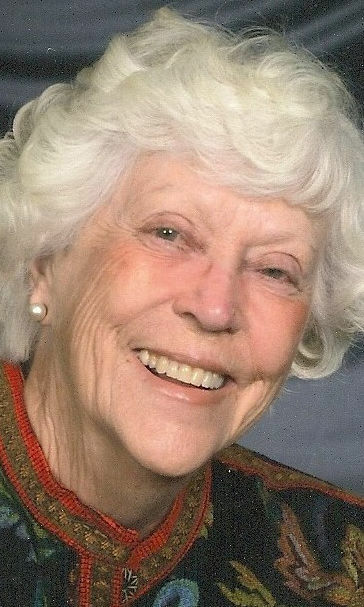 She worked at Wayland Academy and First National Bank in Beaver Dam for a number of years. She volunteered at numerous organizations in Beaver Dam with the most recent being Beaver Dam Community Hospital. Jackie became a committed fan of the Green Bay Packers, University of Wisconsin and Beaver Dam High School sports teams. She was a regular at the Beaver Dam High School girls basketball games. Jackie is survived by her children, Joan Killingsworth (Herb Reuss) of Arlington, Virginia, Mark Killingsworth (Lisa) of Beaver Dam, and Tom Killingsworth (Teresa) of Boise, Idaho. She is also survived by her six grandchildren, Ben Killingsworth, Laura Killingsworth, Lea Reuss, Michelle Reuss, John Killingsworth and Andy Killingsworth. She was preceded in death by her parents and her sisters Pat, Margaret and Pauline and is survived by her sister Phyllis. She was also preceded in death by her husbands, Clyde Killingsworth, George Parisi and Percing “Cap” Fure. Cap was survived by four children, Rob (Helen) of Lexington, Virginia, Russ (Deb) of Marquette, Michigan, Tret (Lauren) of Newport News, Virginia, and Scot (Kay) of Marquette, Michigan, and Brian, who preceded him in death as an infant, along with numerous grandchildren and great-grandchildren. A memorial gathering will be held at Cornerstone Funeral & Cremation Services, 135 Keller Blvd., Beaver Dam, on Saturday, Feb. 16, from 1 p.m. until the time of the memorial service at 3 p.m. Inurnment will take place at Oakwood Cemetery, Beaver Dam, at a later date. If desired, memorials may be directed to the Dodge County YMCA, Beaver Dam Area Community Theatre or to a charity of your choice. Many grateful thanks to Beaver Dam Community Hospital and UW Hospital. Our family also thanks the good Samaritans who helped Jackie after she fell outside her home last Friday.